Harmony Box is a synthesizer that has the rules of modal jazz built-in. You press a key, it plays the right chord. You just pick the key and the mode. 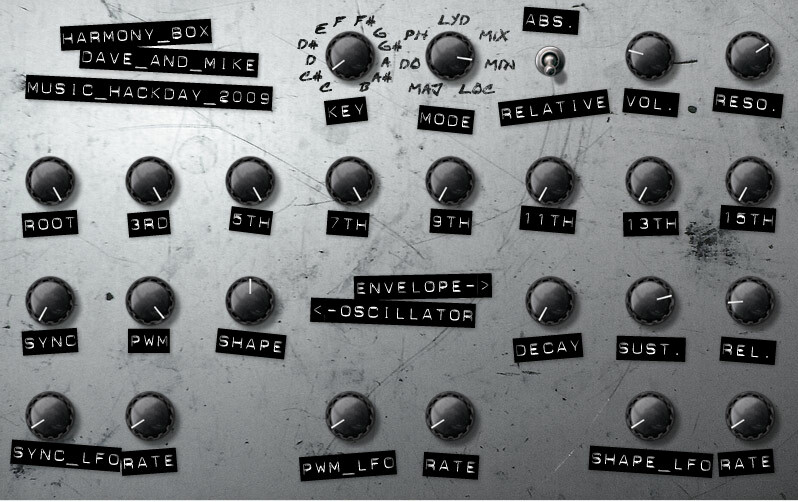 An alias-free oscillator drives a self-oscillating filter and it has LFOs and Envelopes for fatness.